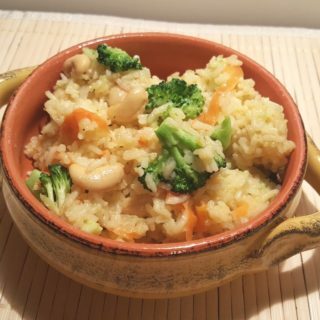 Pressure Cooker Seasoned Vegetable Ghee Rice is a quick healthy side dish, which can be made into a main course, just by adding chicken or shrimp. 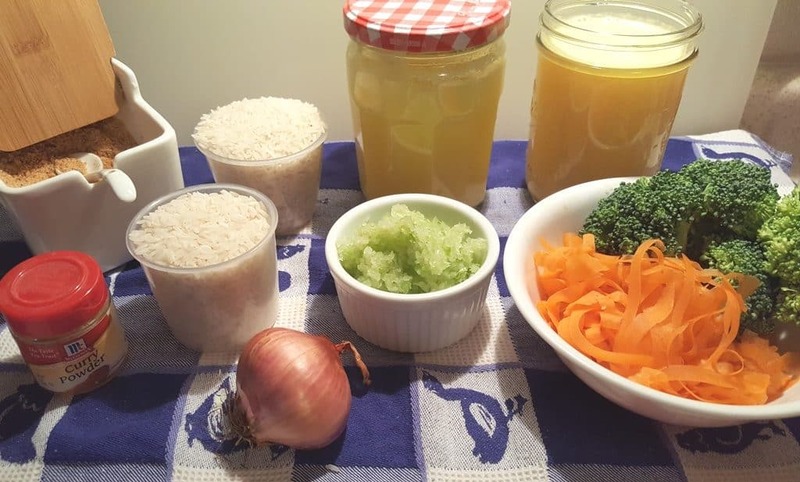 Pressure Cooker Seasoned Vegetable Ghee Rice is filled with vegetables and a wonderful side dish to any meat dish. My One Pot Pressure Cooker Chinese Orange Pepper Chicken & Rice was in the creative stage. After going back and forth with Genene Abraham and thinking about what ingredients I wanted to use in my new recipe, I realized that I did not have everything on hand. So, what to do, what to do, what to do? Hmmm, what the heck is for dinner? I looked at my Pressure Cooker and thought, well, I know I want to make rice. I was planning to do a Pot in Pot Rice above my new recipe. I’ve got Ghee and I love Pressure Cooker Ghee Rice. Rice was on my mind, so I grabbed some Jasmine rice and started thinking. We always have vegetables with our meals. I knew there were some broccoli and carrots in the refrigerator. Then remembered that I had chopped cabbage in the freezer. Ah ha! Now we are getting somewhere. 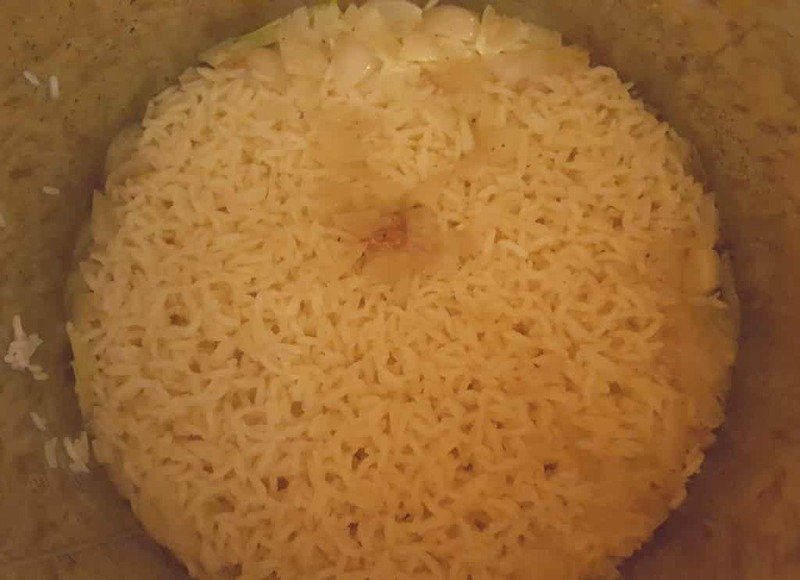 Always make sure to rinse your rice, until the water runs clear. Before adding your fat to your stainless steel Instant Pot or Pressure Cooker cooking pot, make sure to heat the pot up all the way. On the Instant Pot, the display will read “Hot,” when it is ready. Add the Ghee into the pot and it will quickly melt. I love cooking with Ghee because it has a wonderful, nutty tastes and works great with higher temperatures. No need to worry about your butter burning. You can buy Ghee on Amazon, or you can make it yourself, using my Pressure Slow Cooker Simple Ghee recipe. 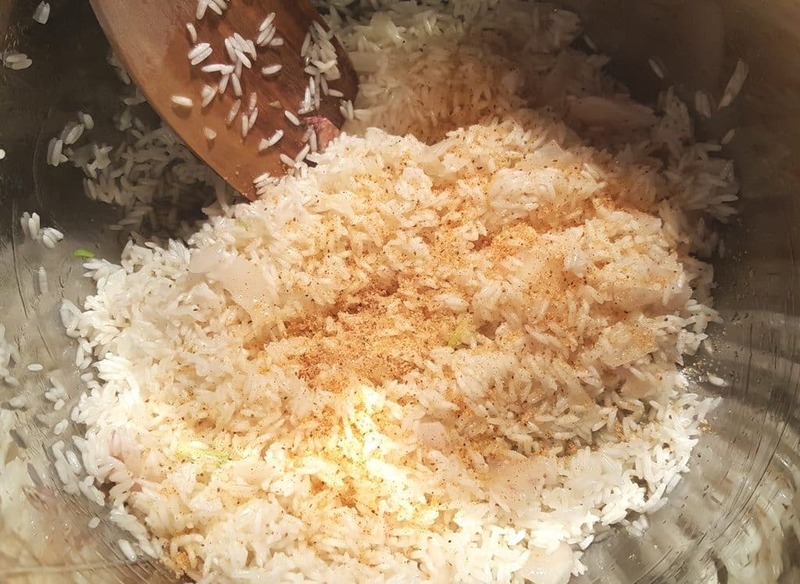 Add the rinsed rice and the shallots into the Instant Pot or Pressure Cooker cooking pot. You want to toast the rice and sauté the shallots for about three minutes. 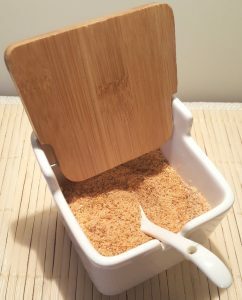 Use a Spatula and mix the rice and the shallots into the Ghee really well, so all grains are coated. Your shallots will begin to soften at about the 2.5-minute mark. 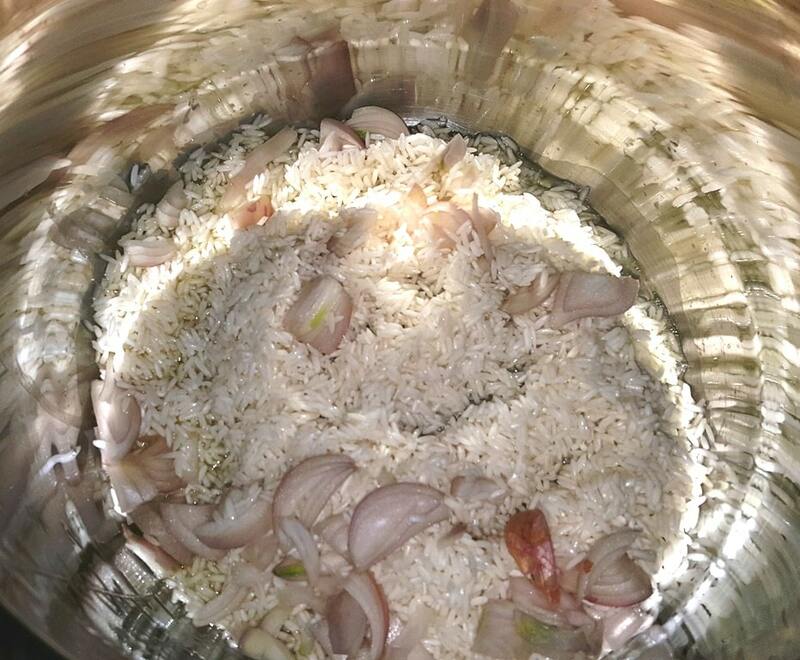 I like to rough chop the shallots so that after pressure cooking, you will be able to see shallots in your rice. Otherwise, they will completely disintegrate if you dice them small. I love having a good, standard seasoning mix on hand at all times.This started out as a copycat version of Lawry’s Seasoned Salt, but after a while, I changed it up a bit, to make it more to my liking. Since I use it so often I keep a good amount right next to my stove in my seasoning box. I used almost two full teaspoons of my Homemade Seasoned Salt and a sprinkling of Curry Powder, just enough to get a nice color. If you want to use a store bought seasoning, Lawry’s Seasoned Salt works well in this recipe. My version contains a bit more celery seed. At this point, the amount of seasoning is up to you. It is your Pressure Cooker Seasoned Vegetable Ghee Rice, so dress it up as you like. My Homemade Seasoned Salt is about 75% Sea Salt, so I did not any plain salt at all. If you want a stronger curry taste, add about 1/4 teaspoon of Curry Powder. I probably used about a 1/8 of a teaspoon. If you don’t like Curry, don’t add it. The dish will still be delicious. Don’t let the Curry Powder scare you away from trying this recipe. Add your liquid. 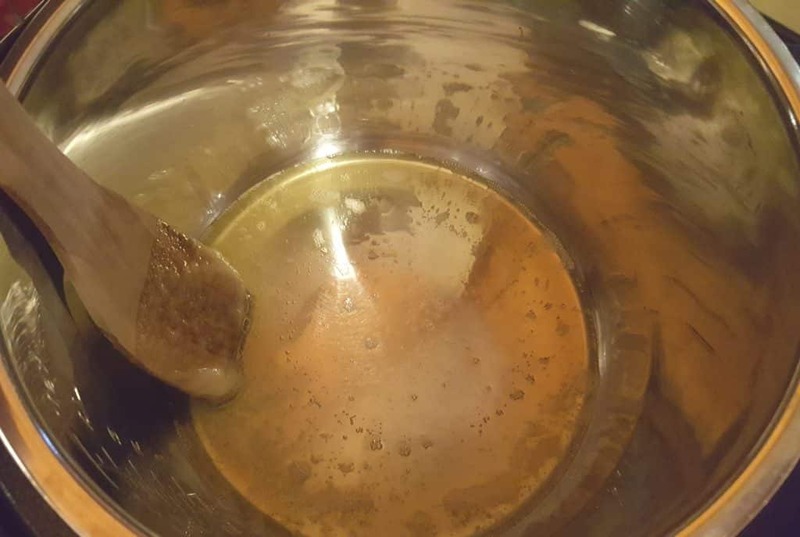 I use my Homemade Pressure Cooker Bone Broth for most recipes calling for liquid, but for this recipe, I used Superior Touch Organic Chicken Base and mixed it with Fresh Spring Water. I wanted a strong chicken flavor. You can add water, Vegetable Base, Beef Base, Shrimp or Lobster Base, whatever you like. Superior Touch has a nice product line of bases. Check them out, if you like. You can even add bite-sized pieces of chicken now if you like. 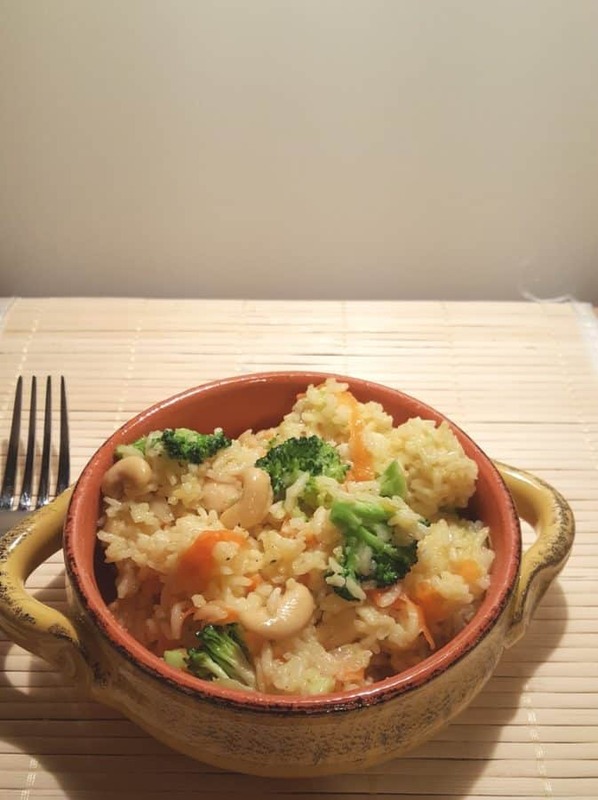 If you want to use shrimp, wait until after the rice is cooked. 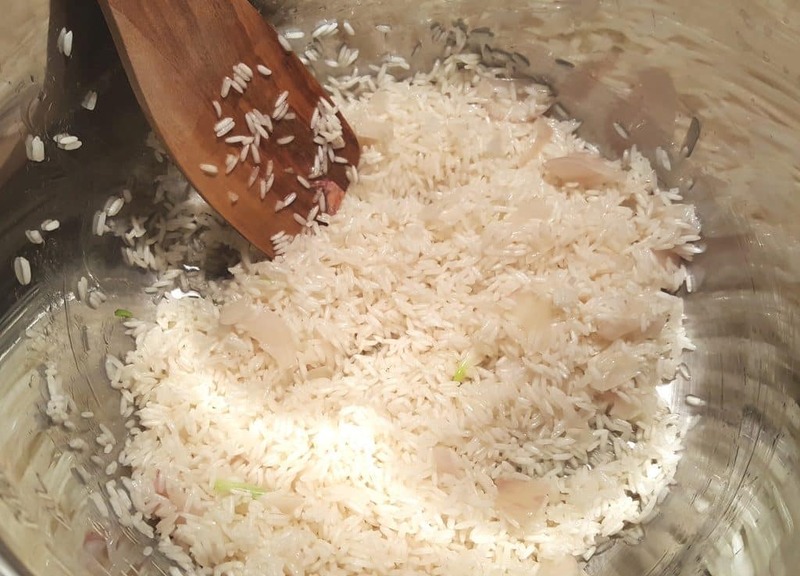 When the Beep sounds, you’ll want to do a quick release, as we don’t want the rice to become mush and all the liquid to absorb by doing a natural release. 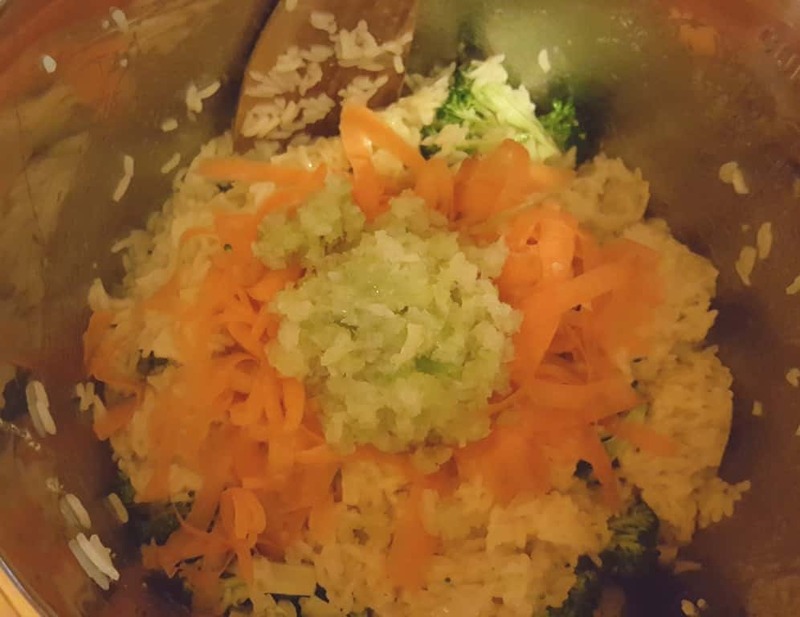 Since the Broccoli is in florets, which are larger than the shredded carrots and cabbage, add them in first. Mix them in a bit, so they start cooking right away. You can even place the Instant Pot or Pressure Cooker cover lightly on the pot to steam the Broccoli quicker. After about a minute, add in the carrots and cabbage. They will cook very fast. Continue mixing until the Broccoli is cooked to your preference. If you had planned to make this into a complete meal using Shrimp, now is the time to add your Raw Shrimp. Here is where you can get more creative. I added a big handful of raw cashews. Golden Raisins would be delicious in this Pressure Cooker Seasoned Vegetable Ghee Rice. My husband would not have even tasted this dish if I added the raisins, so I left them out. He is pickier than a three-year-old….. 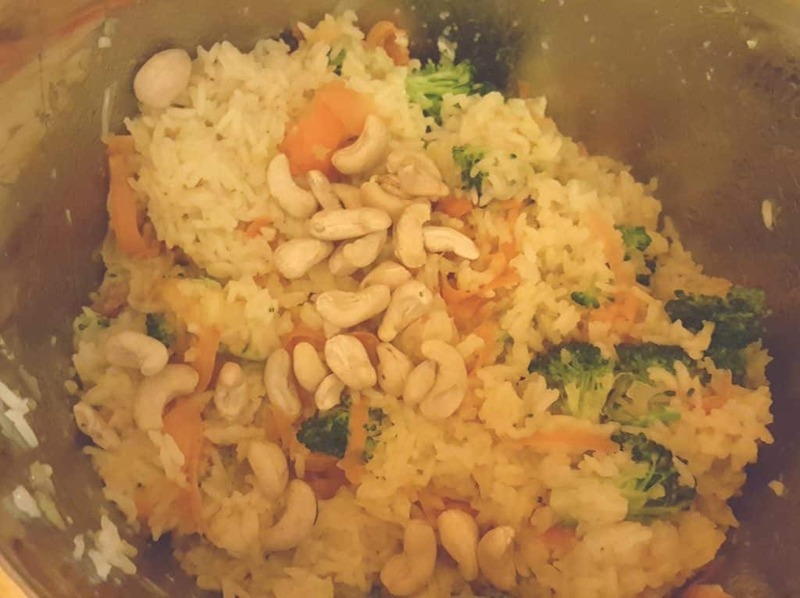 If you recall from above, this Pressure Cooker Seasoned Vegetable Ghee Rice was not planned for dinner. We needed a protein, so I fried up some eggs and put one on top of each plate. (We only had two eggs in the house). 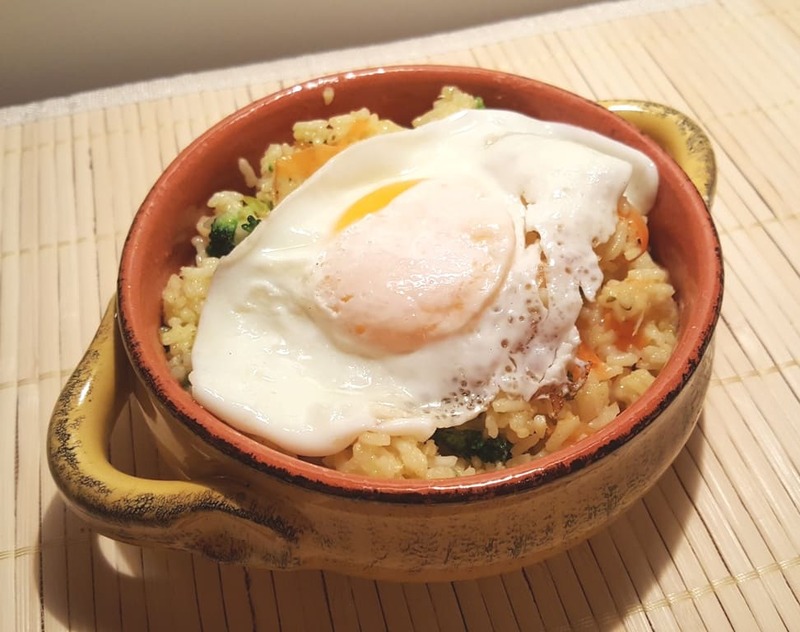 Try making my Instant Pot Poached Eggs to top the Rice! Enjoy! This side dish will pair well with my Bang Bang Shrimp (Bonefish Grill) or my Pressure Cooker Honey Bourbon Chicken Wings. Select the Sauté or Browning button on your Pressure Cooker and allow it to fully preheat. Add Ghee, rice, and shallots to Pressure Cooker cooking pot. Sauté for 3 minutes. Add Broth, Seasoned Salt and Curry Powder (if using). Lock on the lid and close Pressure Valve. Cook on High Pressure for 3 minutes. When Beep sounds, do a Quick Release. Add Broccoli and mix through. Place the lid loosely on top for 1 minute. Add Carrots and Cabbages to Pressure Cooker cooking pot. 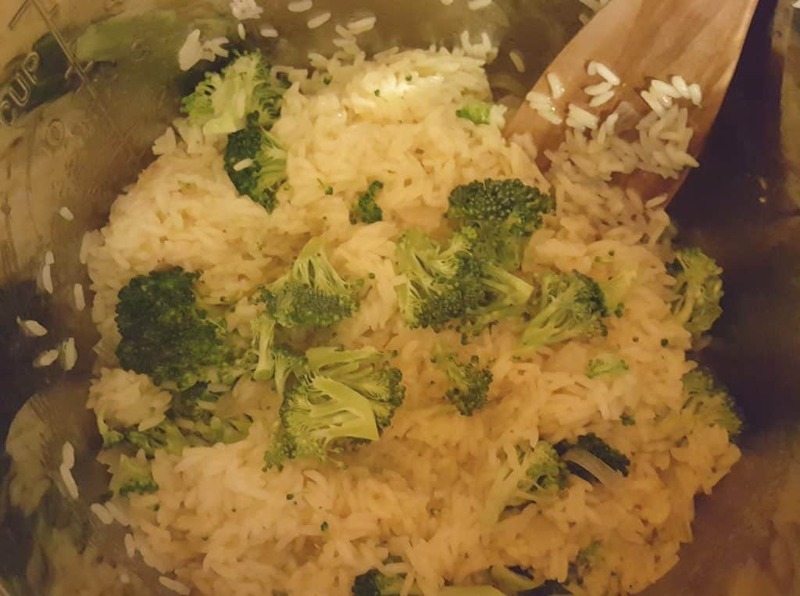 Stir until broccoli is desired tenderness, approximately 2 minutes. 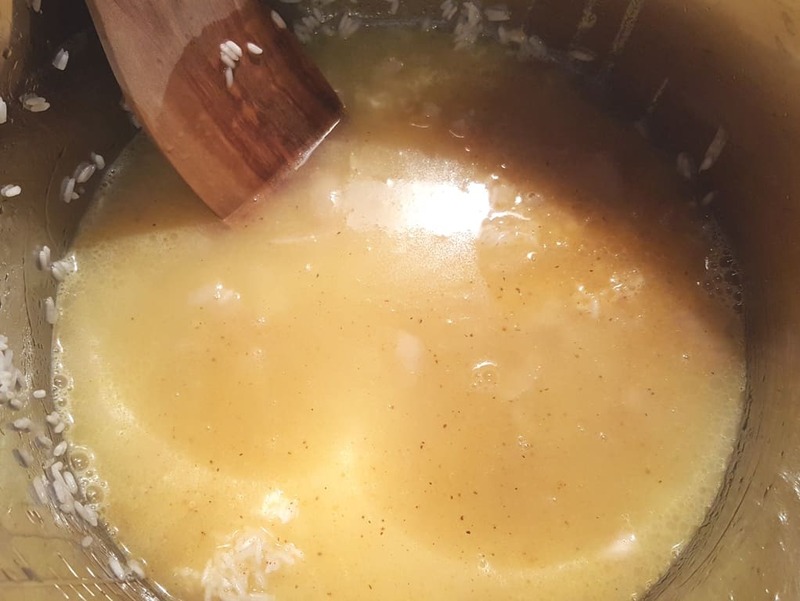 If adding chicken, cut into bite-sized pieces and add them when you add the Chicken Broth. If adding raw shrimp, add them in when you add the broccoli. Adjust the vegetables and/or amount of vegetables as you see fit! 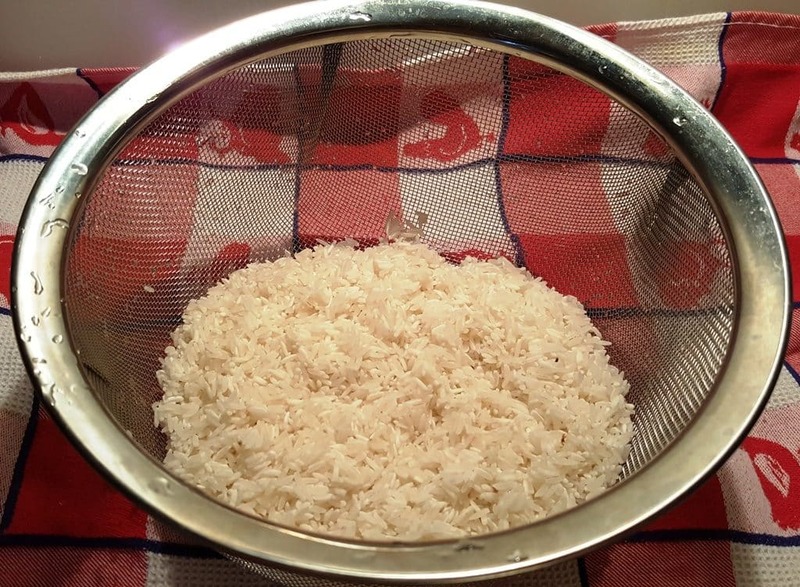 PIN this Pressure Cooker Seasoned Vegetable Ghee Rice! I often recommend this recipe to IP users. It is so easy, and so healthy!